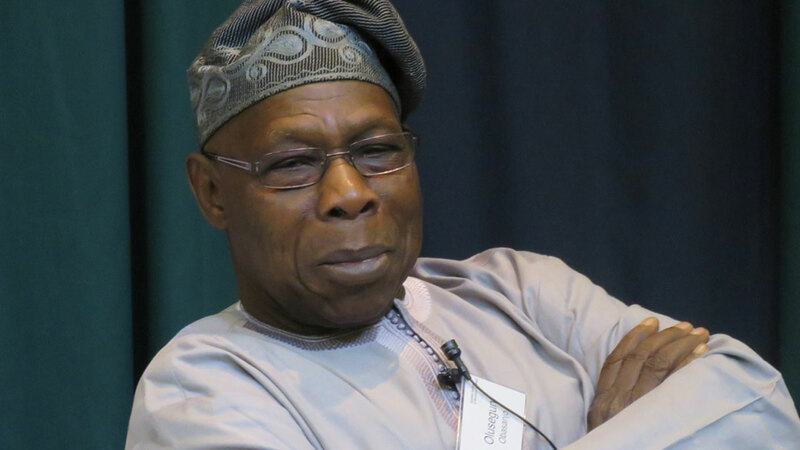 Former President Olusegun Obasanjo has taken a swipe at politicians who use other people’s children as thugs while shielding theirs from trouble. The denunciation came amid concerns that parts of the nation may experience violence during the 2019 general elections. He noted that African youths must put their acts together and vie for political offices, despite obstacles such as expensive nomination forms and huge cost of political campaigns. The former president said further: “Succession planning is a culture that Africa needs to imbibe. It increases the number of people who are capable and available to assume leadership roles when the incumbent is no longer available to do so. This is a deliberate process. The admonition meanwhile coincided with a warning to youths to desist from life-threatening illegal migrations. Many of the nation’s youths have embarked on dangerous journeys across the Sahara and the Mediterranean Sea in search of better economic opportunities in Europe. Acting coordinator, National Emergency Management Agency (NEMA), South West Zone, Mr. Segun Afolayan, gave the advice yesterday when he received a fresh batch of 116 Nigerians repatriated from Libya. Their return was facilitated through a joint effort by the International Organisation for Migration (IOM)/European Union (EU) and the Nigerian government. In fact, with the general elections only about three months away, efforts at having peaceful polls have become more concerted. The Independent National Electoral Commission (INEC) declared that only politicians could stop the menace of vote buying. National Commissioner Festus Okoye stated this yesterday in Katsina State at stakeholders’ meeting ahead of Saturday’s bye-election for the Ingawa/Kankia/Kusada federal constituency seat. The Peoples Democratic Party (PDP) chairman in the state, Salisu Yusuf Majigiri, had accused the All Progressives Congress (APC) of vote buying during the last Katsina North senatorial bye-election, urging INEC to find a lasting solution to the problem. But Okoye, who was represented by INEC’s Resident Electoral Commissioner, Kano State, Prof. Riskuwa Arabu Shehu, insisted that vote buying was never the creation of the electoral body. Also, the European Centre for Electoral Support (ECES) said that it was collaborating with INEC to ensure a successful election. Mr. Rudoff Elbling, ECES Project Coordinator in Nigeria, made this known in Minna, Niger State, while inaugurating a two-day workshop for officials of INEC. “It is my hope that the zonal workshops will lay a solid basis for the conduct of free, fair and credible elections in 2019. It will also sensitise participants to their expected roles before, during and after the elections,” he said. Elbling, who was represented by Senior Election Expert at the centre, Dr Isiaka Yahaya, said that the exercise would familiarise functionaries of the commission with the structure and operational frameworks of the Election Monitoring and Support Centre (EMSC). He said the EMSC was a tool that INEC requires to effectively manage field assets, resources, constituencies and chains of electoral activities in organising elections. The project coordinator said the measure was also an innovative way to monitor election plans and implementation of electoral activities that could assist INEC in evaluating its readiness for an election. “ECES is delighted that INEC has taken a giant stride in the integration of the Election Project Plan (EPP) and Election Management System (EMS) for effective implementation and monitoring of election activities,” he said. Riskuwa Arabu Shehu, insisted that vote buying was never the creation of the electoral body. There children are not available at the moment please try again later. A good advice. Only if they would listen. thats true… instead of sacrificing other peoples children for their selfish gain. PRACTICE WHAT YOU PREACH MR. AREMU. That is good idea. But why you did’t used your own children at your time. I had to check again if Obj said all these. I just hope they listen. That would certainly be perfect! Glory to God Almighty for this is coming from Baba Obasanjo himself. May God give our youth a listening hear in Jesus’ name! Did he use his own children as thugs? But baba OBJ, do you use your own children as thugs during your tenure. That is capital NO! Youth should please Wise up not to allow those politicians to ruin their life. You can’t even see their children voting talk less of serving as thugs.